For other ships with the same name, see French ship Pourquoi Pas? In 1907, Jean-Baptiste Charcot launched a new Antarctic expedition and began work on a new ship, Pourquoi-Pas? IV, a three-masted barque designed for polar exploration, equipped with a motor and containing three laboratories and a library. It was built at Saint-Malo to plans by Francois Gautier, in his shipyard. From 1908 to 1910, Charcot set out in Pourquoi-Pas ? IV, wintering at Petermann Island, on his second polar expedition. 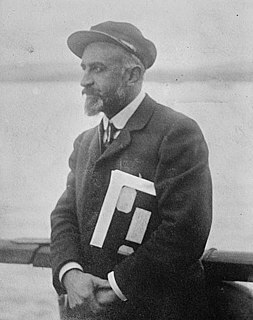 He returned to France in 1910 laden with scientific discoveries - he had finished the mapping of Alexander Island and discovered a new island, Charcot Land. In 1912, Pourquoi-Pas ? IV became the French Navy's first school ship. From 1918 to 1925, Charcot took Pourquoi-Pas ? IV on various scientific missions in the North Atlantic, the English Channel, the Mediterranean and the Faroe Islands, mainly to study underwater lithology and geology by means of drag nets, to whose material and use Charcot made major improvements. From 1925 onwards, limited by age, Charcot lost command of the ship (though he remained on board as head of the expedition) for her many voyages around the Arctic glaciers. In 1926, Charcot and Pourquoi-Pas ? IV explored the eastern coast of Greenland and brought back many fossils and samples of insects and flora. In 1928, Pourquoi-Pas ? IV set out to investigate the disappearance of the large French seaplane Latham 47 with the Norwegian explorer Roald Amundsen on board, which had itself been looking for the Italian general Umberto Nobile, who had set out to cross the North Pole in the dirigible Italia and not been heard from since. In 1934, Charcot and Pourquoi-Pas ? IV set up an ethnographic mission in Greenland headed by Paul-Émile Victor, who spent a year in Angmagssalik living amid the Eskimo population. In 1935, Charcot and Pourquoi-Pas ? IV returned there to look for Victor and his three companions (Gessain, Pérez et Matter) and began the mapping of these regions. On 16 September that year, the ship managed to reach a small port to escape a cyclone which ravaged the coasts of Iceland. In September 1936, returning from the mission to Greenland to deliver scientific material to Victor's mission (which had just traversed the ice sheets in 50 days) and after carrying out a survey mission, Pourquoi-Pas ? IV stopped at Reykjavík to re-provision with fuel on 13 September. They set out for Saint-Malo two days later, on 15 September, but on 16 September the ship was caught in a violent cyclonic storm and lost on the reefs of Álftanes at Mýrar. 23 of the crew were lost in the wreck and 17 survivors died before rescue came, leaving only one survivor, Eugène Gonidec, master steersman. Jean-Baptiste Charcot was one of the dead, aged 69. Pourquoi Pas Point and Pourquoi Pas Island were later named after it. Scale model at the Oceanographic Museum of Monaco, made for the "Voyages en Océanographie" exhibition (24 July 2003 - 30 April 2006). The Mikkelsen Islands are a small group of islands and rocks lying off the southeast coast of Adelaide Island, 4 kilometres (2 nmi) southeast of the Léonie Islands. They were discovered by the French Antarctic Expedition under Jean-Baptiste Charcot in 1908–10 and named by him for Otto Mikkelsen, the Norwegian diver who inspected the damaged hull of the Pourquoi-Pas at Deception Island. Laubeuf Fjord is a sound in Antarctica, 40 kilometres long in a north-south direction and averaging 16 km (10 mi) wide, lying between the east-central portion of Adelaide Island and the southern part of Arrowsmith Peninsula, Graham Land. It connects Hanusse Bay to the north with Marguerite Bay to the south. The southern 'border' between Laubeuf Fjord and Marguerite Bay is formed by the line between Rothera Point, Adelaide Island, and Cape Sáenz, which is the southernmost point of the Arrowsmith Peninsula. The fjord was discovered by the French Antarctic Expedition, 1908–10, under Jean-Baptiste Charcot, and named by him for Maxime Laubeuf, a French marine engineer who supervised building the engine for the ship Pourquoi-Pas. Pourquoi Pas Island is a mountainous island, 27 km (17 mi) long and from 8 to 18 km wide, lying between Bigourdan Fjord and Bourgeois Fjord off the west coast of Graham Land. It was discovered by the French Antarctic Expedition under Charcot, 1908-10. The island was charted more accurately by the British Graham Land Expedition (BGLE) under John Rymill, 1934–37, who named it for Charcot's expedition ship, the Pourquoi-Pas. Bourgeois Fjord is an inlet, 30 miles (50 km) long in a northeast–southwest direction and 3 to 5 miles wide, lying between the east sides of Pourquoi Pas Island and Blaiklock Island and the west coast of Graham Land. It separates Loubet Coast to the north from Fallières Coast to the south. The fjord was discovered by the French Antarctic Expedition, 1908–10, under Jean-Baptiste Charcot, and named by him for Colonel Joseph E. Bourgeois, Director of the Geographic Service of the French Army. The outline of this inlet was more accurately delineated in 1936 by the British Graham Land Expedition under John Rymill. 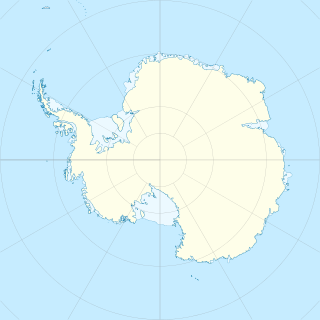 The Amiot Islands are two groups of islands and rocks, the Ward Islands and Cumbers Reef, respectively, lying 17 kilometres (9 nmi) west of Cape Adriasola, Adelaide Island, Antarctica. They were discovered by the French Antarctic Expedition, 1908–10, and were named by Jean-Baptiste Charcot for A. Amiot, engineering director of the French Montevideo Co., Montevideo, Uruguay, which made repairs on the ship Pourquoi-Pas. The islands were more accurately charted by the British Royal Navy Hydrographic Survey Unit in 1963. Pourquoi Pas Glacier is a glacier 4 nautical miles (7 km) wide and 15 nautical miles (28 km) long, flowing north-northwest from the continental ice and terminating in a prominent tongue 9 nautical miles (17 km) west-northwest of Pourquoi Pas Point. Delineated by French cartographers from air photos taken by U.S. Navy Operation Highjump, 1946–47. Named in 1952 by the French Antarctic Sub-committee after the Pourquoi-Pas?, polar ship of the French Antarctic Expedition under Charcot, 1908–10, later used by Charcot in expeditions to Greenland.